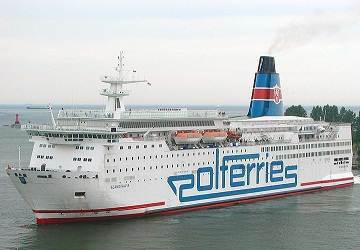 Polferries modern and luxurious ferry Scandinavia can carry up to 1800 passengers and 500 cars. 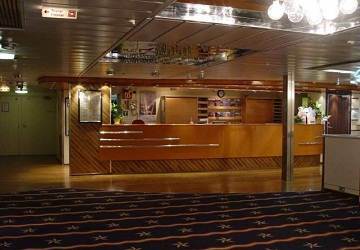 Onboard Scandinavia you’ll find a large selection of cabins, airplane type seats, a shop, bars, a café, restaurants, cafeterias, a cinema, a children’s play area and much more. 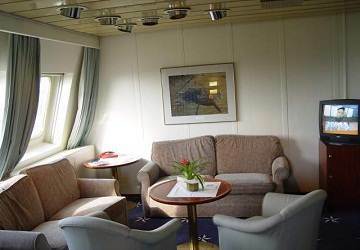 M/f Scandinavia features a large selection of onboard cabin accommodation with enough beds to sleep more than 900 people. 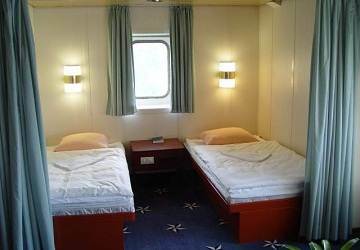 All cabins are en-suite and come in a choice of inside or sea view (outside). 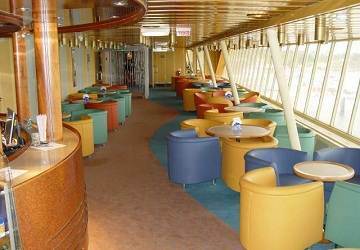 There are also numerous airplane style seats available onboard. 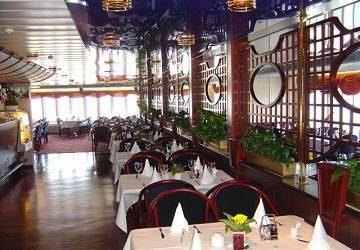 There are numerous venues to eat and drink onboard including 2 restaurants serving a wide selection of food to suit all tastes. 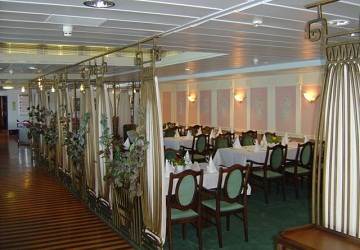 The panoramic Vivaldi Restaurant offers fine food with a great view of the Baltic Sea while Zorba restaurant is located in the centre of the ship and serves Greek food in a cosy atmosphere. If you prefer a bit of everything and a wide selection then head to the self-service buffet in the cafeteria. 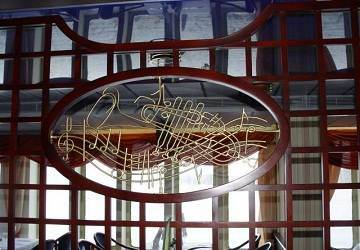 In the stern of the ship there is a café which at night turns into a night club while on the top deck there is a 200 seater panorama bar serving all of your favourite drinks. 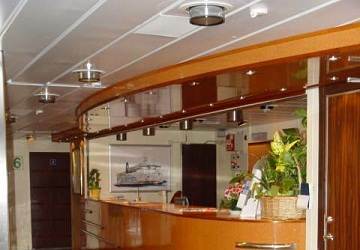 There are numerous shops onboard selling a huge variety of items including tobacco, alcohol, perfumes, after shaves, cosmetics, travel accessories, underwear and designer clothing. 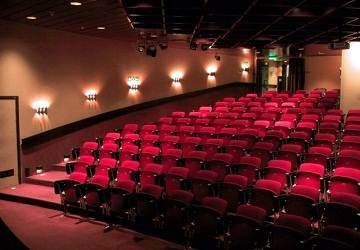 M/f Scandinavia features a 200 seater cinema showing up to 2 films per voyage, a casino with slot machines, roulette and blackjack tables. 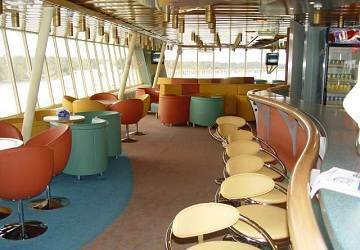 There is also an open deck with a ‘garden’ so that you can stretch your legs in the sea air. 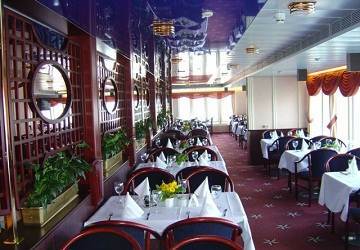 The ship features a children’s play room to keep younger passengers entertained during the trip. 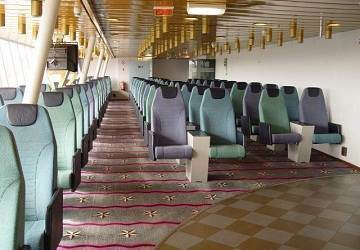 There are a selection of cabins have been specially adapted for wheelchair bound passengers. Please Note: Whilst we have taken great care in making our Scandinavia guide as accurate as possible, onboard facilities, services and entertainment may vary depending on the date and time of year that you travel, facilities mentioned may change without notification and ferry companies reserve the right to operate vessels other than those mentioned at time of booking without prior notification. 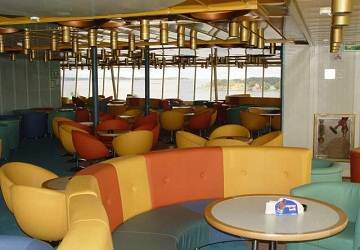 This ferry is a very good alternative for us who are doing long distance cycling to get down to the continent fast. Everything worked perfectly and the food was price worthy is Swedish terms. The menu with Polish food was exciting and fun. One avise is to book early if you want a cabin. I didn't and had to sleap in the chair.